Service and emotional support animals (ESAs) go above and beyond to help their humans on a daily basis. If you know someone with a service animal or ESA, it could be nice to get their animal a gift from to time. In The Mighty community, people have shared stories about how their service dogs and ESAs have helped them. Mighty contributor Ashley Hoffman shared that her ESA helped her get through university and did “wonders for [her] depression.” People have been sharing thoughts about their service animals, ESAs, and general pets using the hashtag #MightyPets on The Mighty, too. We asked The Mighty community what gifts that they would like to receive for their service dog or ESA, and here are some of their responses. Let us know if you would find any of these gifts to be helpful, or what you have gotten someone’s ESA or emotional support animal. The great part about gift cards is that they give the recipient the option to buy what they want or need at the store that they choose. For pet owners, this could include healthy food for the animal, grooming supplies, or something as simple as a tennis ball. “I have a ferret for my emotional support animal. I’d love to get […] gift cards to help with ordering. 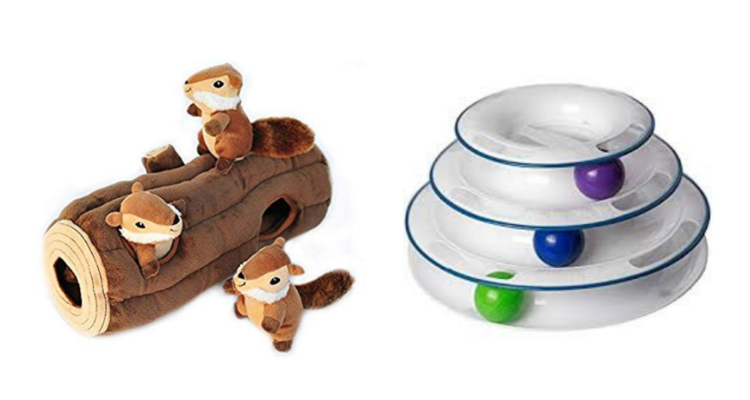 And some more toys and potty boxes, as she and my 4 other ferrets can be quite messy! My Milly knows how to calm me and cheer me up,” Kaitlyn Young said. “My 4-pound chihuahua, Kase is my ESA and would love to have a gift certificate from the pet food health store where I purchase his raw diet,” Angela Himmeroder said. Buy a gift card (left) for a customizable amount from Petco. Buy a gift card (right) for a customizable amount from PetSmart. While service animals and ESAs do important jobs throughout the day, there’s a good chance they want to play every now and then. This is why automatic toys can be a great gift for someone who is not able to play with their pet as much as they would like. “I have an emotional support cat, and I would love for him to have more toys that are automatic since it’s hard for me to play with him and a day of grooming every once in a while. He takes such good care of me it would be wonderful to return the sentiment,” Devin Jones explained. 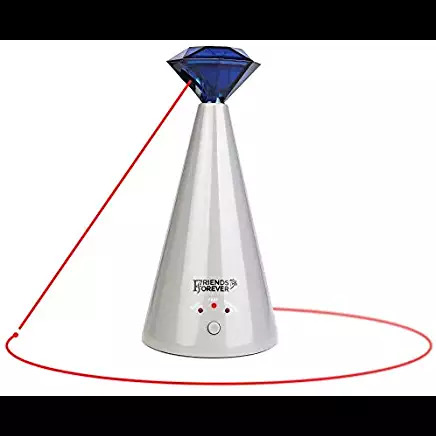 Buy interactive cat laser toy for $24.99 from Amazon. Dental hygiene is important for everyone, including for man’s best friend. Dogs often keep good dental hygiene through chewing on and playing with elk antlers and dental chews. 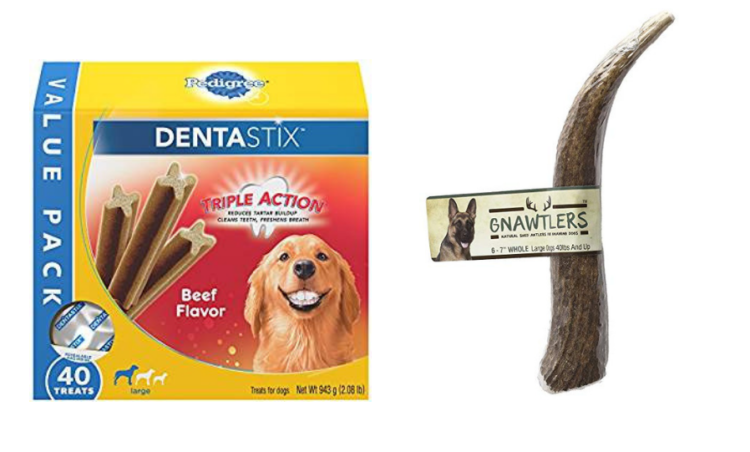 Buy beef-flavored dog chews for large dogs (right) for $14.97 from Amazon. Buy an elk antler (right) for $19.99 from Amazon. 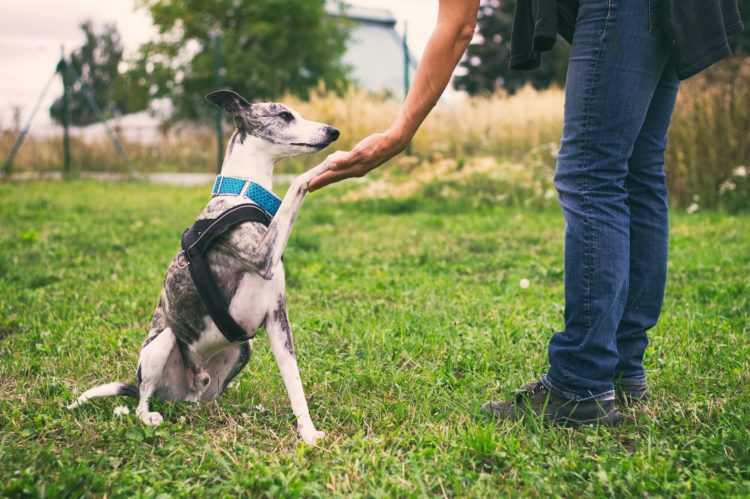 Services dogs can play an important role in helping people with limited mobility walk. If you know someone who uses a service dog, you could ask if they need a new harness. This could be an extremely helpful gift. “I have a physical assistance service dog and I would love a new harness for her with a sturdy handle to hold onto with pockets to hold my items in since I cannot carry anything on my back or shoulders,” Cecilia Kuhn said. Buy the leather guide dog harness featured above for $48.95 from Bridgeport K9 Equipment. We all need to brush up on skills, and animals are no different. You could ask someone with a service dog or an ESA if they would like a voucher for training or obedience classes for their animal. “I just got a [service dog in training] that I’ll be owner training. Money towards obedience classes would be great,” Jessi Fox said. “More training. It’s so important that she is always learning,” Acadia Cecily-Murphy explained. Buy a training package, which varies in price depending on the person’s location, dog’s level and training desired, from PetSmart. Rewarding animals for their hard work is always a nice touch. Giving them a new toy can really brighten their day. “Good quality toys that stimulate a dog’s mind and physical activity are nice,” Kathleen Brockway recommended. “Treats and toys. I’m a resident assistant at a college and have a resident and a custodian that drop off treats and it means so much to me. Just knowing they care and are thinking of us is really special and brightens my day!” Sarah Baeur explained. Buy ZippyPaws Interactive Squeaky Dog Toy (left) for $13.99 from Amazon. Buy Easyology Amazing Cat Roller Toy (right) for $13.99 from Amazon. Grooming can be expensive, and between balancing the other costs that a person with a chronic illness or disability may have, this may be an extra financial strain. 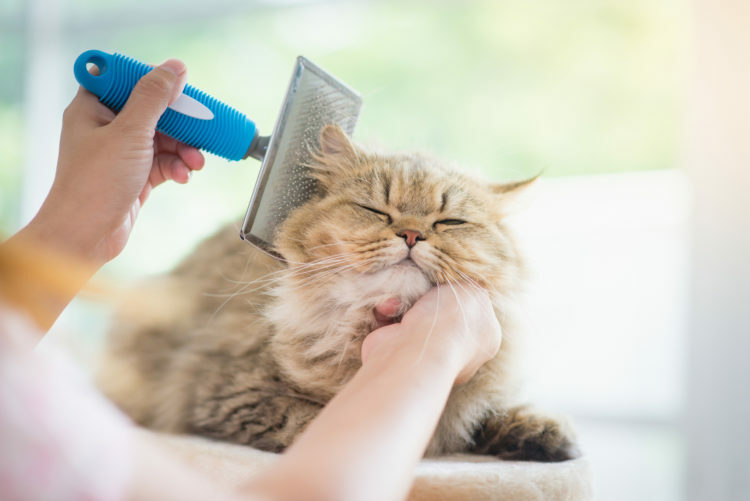 Grooming is something nearly every pet needs, so a voucher or credit will come in handy. “Credit to a groomer would be amazing. [My cat is a] long haired and not always on top of self-grooming. I don’t always have the energy to brush her and my husband hates doing it,” Shayla Fortner-Watrous said. Buy grooming for a cat or dog from PetSmart. Prices range for treatment desire, location, size of pet, and type of pet. The best part about this gift is that it does not cost you anything. 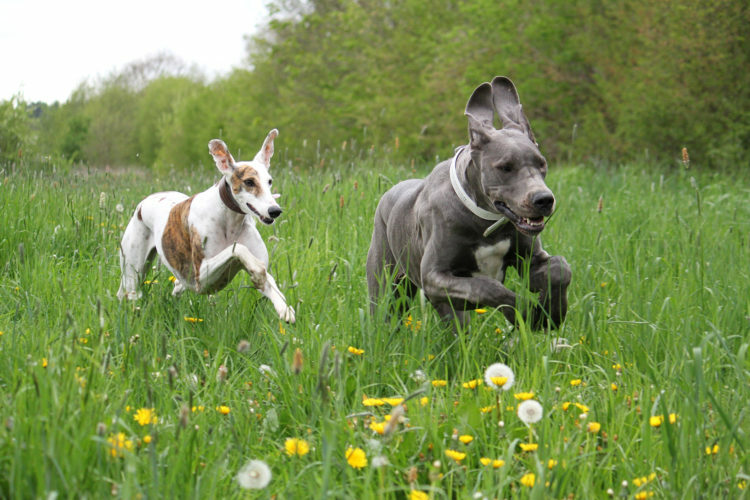 If your friend wants their dog to have a break and play, consider offering to bring the dog to a park or to bring your own over if you have one. “[I want] for her to have a buddy to play with and play dates,” Cindy Harrigan said. We can’t let the dogs have all the fun, can we? If your friend has an emotional support animal that is a cat, you could consider buying them a cat tree. “A big cat tree! My ESA deserves the best,” Blair Bodiford said. Buy the cat tree featured above (left) for $62.99 from Amazon. 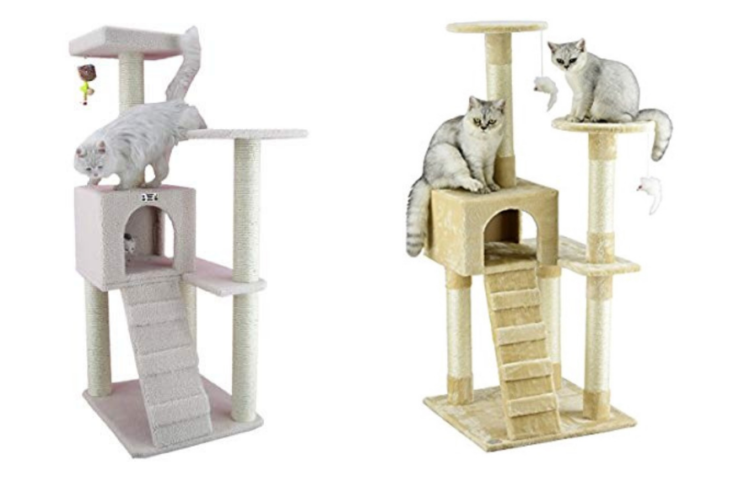 Buy the cat tree featured above (right) for $42 from Amazon. Service dogs and ESAs cannot perform their duties and offer emotional support if they are sick. Offering to help cover flea and heartworm prevention medication may be helpful for people with service dogs and ESAs. “Help with flea and heartworm prevention,” Bailey Sonday recommended. 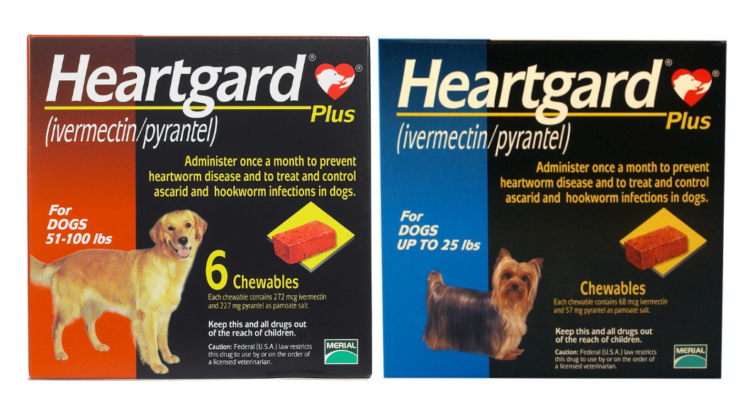 Buy Heartgard Plus Chewable Tablets, Dogs 51 lbs to 100 lbs (left) for $37.99 from Chewy.com. Buy Heartgard Plus Chewable Tablets, Dogs Up to 25 lbs for $23.65 from Chewy.com. What gifts would you add?